Neural systems models are elegant conceptual tools that provide satisfying insight into brain function. The goal of this new book is to make these tools accessible. 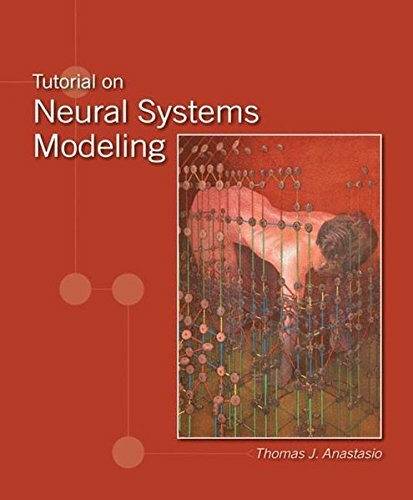 It is written specifically for students in neuroscience, cognitive science, and related areas who want to learn about neural systems modeling but lack extensive background in mathematics and computer programming. The book opens with an introduction to computer programming. Each of twelve subsequent chapters presents a different modeling paradigm by describing its basic structure and showing how it can be applied in understanding brain function. The text guides the reader through short, simple computer programs--printed in the book and available by download at the companion website--that implement the paradigms and simulate real neural systems. Motivation for the simulations is provided in the form of a narrative that places specific aspects of neural system behavior in the context of more general brain function. The narrative integrates instruction for using the programs with description of neural system function, and readers can actively experience the fun and excitement of doing the simulations themselves. Designed as a hands-on tutorial for students, this book also serves instructors as both a teaching tool and a source of examples and exercises that provide convenient starting points for more in-depth exploration of topics of their own specific interest. The distinguishing pedagogical feature of this book is its computer programs, written in MATLAB, that help readers develop basic skill in the area of neural systems modeling. (All of the program files are available online via the book's companion website.) Actual data on real neural systems is presented in the book for comparison with the results of the simulations. Also included are asides ("Math Boxes") that present mathematical material that is relevant but not essential to running the programs. Exercises and references at the end of each chapter invite readers to explore each topic area on their own. Thomas J. Anastasio is Associate Professor at the University of Illinois at Urbana-Champaign, affiliated with the Department of Molecular and Integrative Physiology and the Beckman Institute for Advanced Science and Technology. He earned a B.S. in Psychology at McGill University, and a Ph.D. in Physiology and Biophysics from the University of Texas at Galveston. A teacher of courses in computational neuroscience for nearly two decades, Dr. Anastasio has received the James E. Heath Award for Excellence in Teaching Physiology at the University of Illinois. His research focuses on the computational modeling of the nervous system in health and disease.